Foto di Giovanni Dall'Orto. 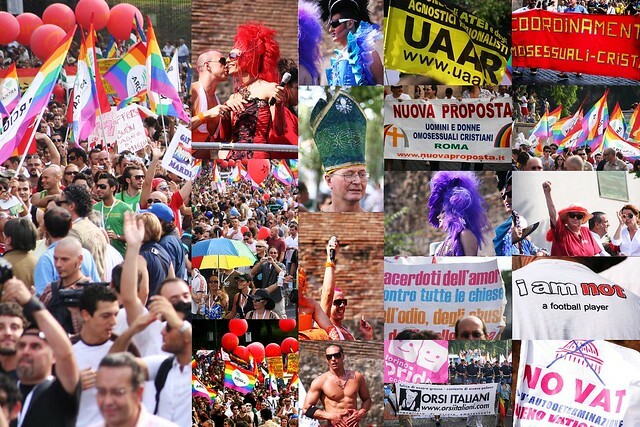 Two activists dressed as if they were marrying, at the National Gay Pride march in Romeon June 16 Picture by Giovanni Dall'Orto. Redistribution, derivative work, commercial use, and all other use is permitted. The timestamp is only as accurate as the clock in the camera, and it may be completely wrong. From Wikimedia Commons, the free media repository. Structured data Captions English Add a one-line explanation of what this file represents. The timestamp is only as accurate as the clock in the camera, and it may be completely wrong. Picture by Giovanni Dall'Orto. The timestamp is only as accurate as the clock in the camera, and it may be completely wrong. Carro al Gay Pride nazionale di Romail 16 giugno I, the copyright holder of this work, hereby publish it under the following license:.